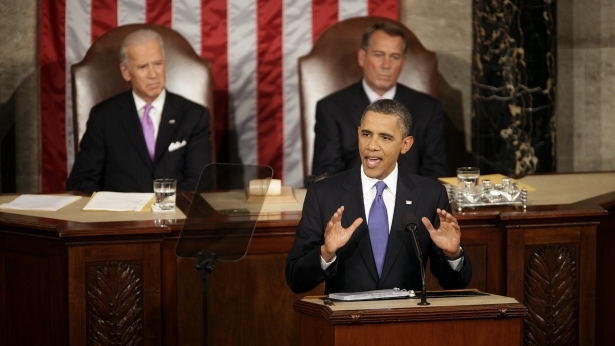 President Obama unveiled his latest jobs plan before a joint session of Congress last night. Click here to read the summary of the proposals included in the American Jobs Act. Since many of the proposals are essentially the same as the $827 billion Stimulus Bill passed in February 2009, many people consider the recent proposal to be Stimulus II. The debates and discussions about the effectiveness of such the programs can be tackled later. In this article, I simply want to explore the way the government is going to pay for any new spending, should it pass Congress. Although many of the details are still being hammered out, President Obama estimated the cost of his proposals to be $450 billion. He expects to pay for the additional spending by closing corporate tax “loopholes” and raising taxes on wealthier Americans. Closing loopholes usually involves minor tweaks to selected tax provisions, and typically don’t raise huge amounts of revenue. For the past few months, President Obama has been touting the need to close a “loophole” for corporate jets. The “loophole” is all about depreciation, which is merely a timing issue. Jet owners will still get to depreciate their aircraft, but it will take a little longer. The additional tax revenue from closing this “loophole” is estimated to be $3 billion, over ten years, or the equivalent of $300 million a year in additional revenue. 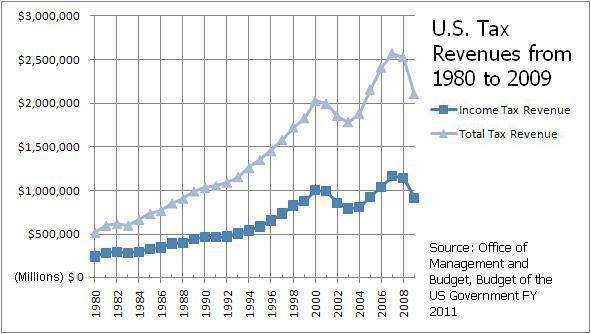 See the graph below of the total government revenues. You’ll notice total tax revenues are approximately $2 trillion annually. Thus, total tax collections would have to increase by nearly 25% to raise an additional $450 billion. Congress will need to close a lot of “loopholes” and increase rates substantially to raise an additional $450 billion, which is extremely doubtful in the current political environment. Although this may seem like simple arithmetic, but there is a twist. You need to understand Washington code to decipher what President Obama really means. Just like the $3 billion in savings from closing the corporate jet depreciation “loophole,” the $450 billion will come trickling in over the next decade, not next year. Members of Congress and the President frequently talk about the current budget and the 10-year budget horizon simultaneously and interchangeably. It most applications, it means spending will be paid in the current year, and any additional revenues or spending cuts take place over the next decade. Time will tell if I’m correct, but I expect the President wants us to borrow the $450 billion over the next 12 months in an attempt to spur economic growth and pay it back over the next decade. Given our current economic situation, you may think this is a wise decision and/or necessary. I’m not convinced. With a $14.7 trillion debt, which is growing by $100 billion a month, I’m not sure adding another $450 billion is the best for our long-term financial future. Before you decide if it’s a good idea or not, at least make sure you know what the President and Congress want to do. Like so many other things in Washington, you may think they mean one thing, only to find out our leaders meant something else. If anyone says the American Jobs Act will be fully paid for, check to see how and when.